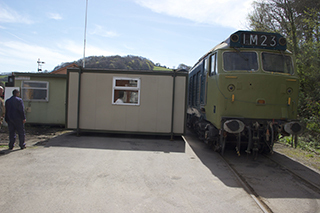 The SDRT Museum group’s Forward Plan took a big step today with the move of the Archive Centre from its former location next to the original signal box at Buckfastleigh to a new position opposite the PLOG shed. This brings it significantly closer to the goods shed, and thus lessens the distance needed for the cable connecting it to the electricity supply. It is hoped to do this very soon after Easter, which will allow us to start getting it dried out, and into use for its proper purpose. 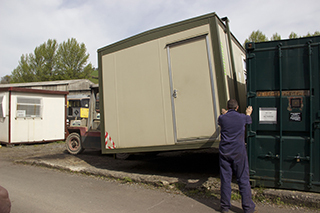 Very many thanks to Rob le Chevalier, of SDR Engineering, and his staff Nick Davies and Steve Trenouth, who carried out the move. 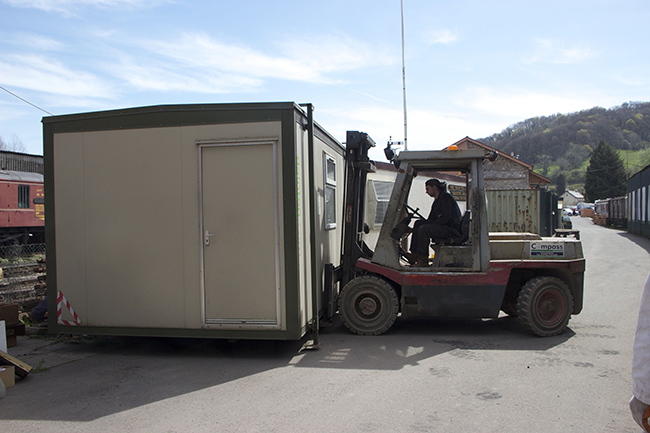 Thanks also to the SDRT Museum team who moved the contents out before the move, and back in again afterwards.